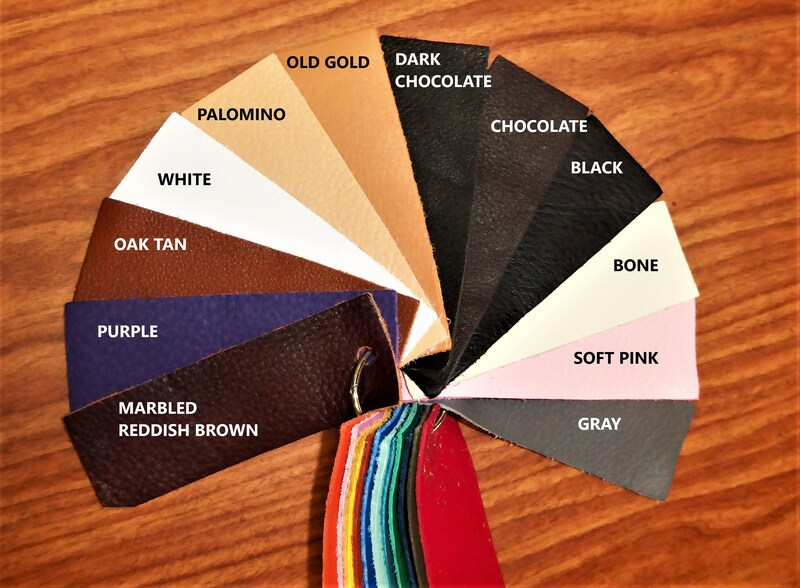 Swatch ring of all 23 colors from our Popular KING collection of leathers. Each swatch is about 4"x1.5" and a glued label with the name on the backside. 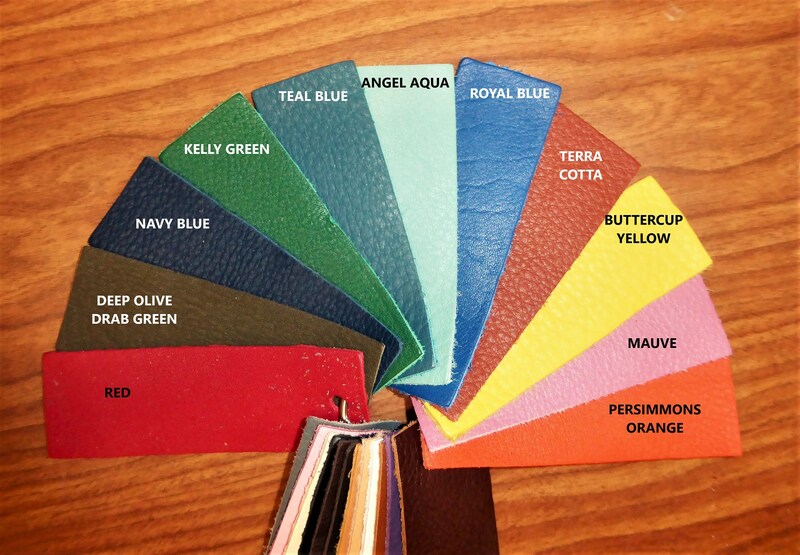 Great Colors in this swatch! Very quick shipping. 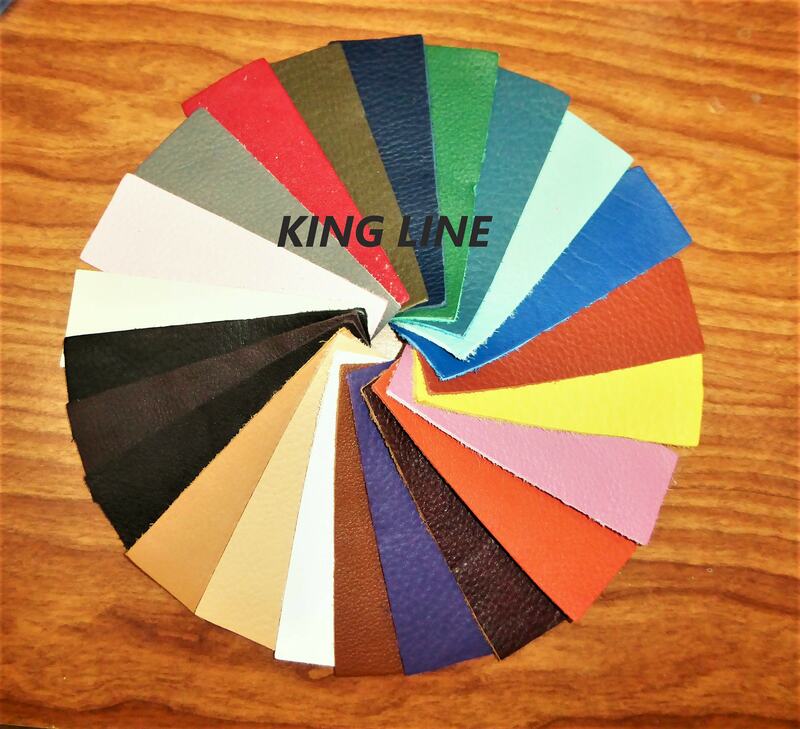 High-quality leather. Very happy with my purchase.